About the Program: All are welcome to this special ecumenical Advent event, now in its fifth year. It will offer you a truly meaningful way to prepare for Christmas, as you hear and participate in music and readings that bring to life both the Bethlehem of Jesus’ birth and the Bethlehem of today. Join together with Madison area congregations for this special event that gives witness to the hope we share. The evening will conclude with a time of refreshments and fellowship. Our siblings in the Holy Land today need our prayers and support so that they too might experience hope. 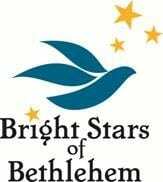 A free-will offering will be collected to support Bright Stars of Bethlehem and the work of educating the next generation of creative leaders for Palestine. Offerings will be directed for student scholarships to Dar al-Kalima University College of Arts and Culture in Bethlehem. Your presence and gifts will make a difference for many in the Holy Land.